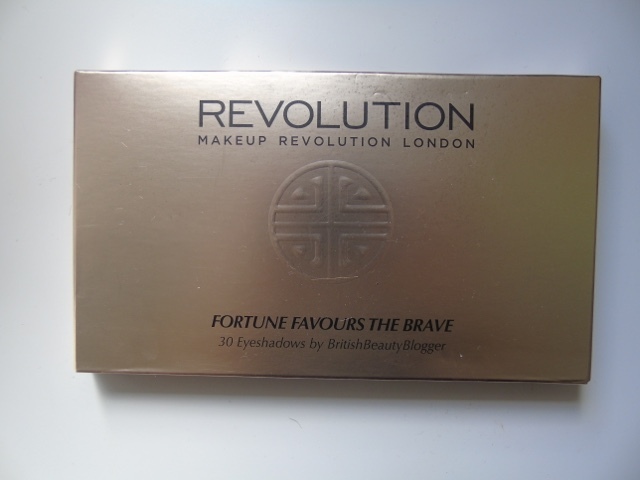 When I heard all about the British Beauty Blogger collab with Makeup Revolution I got so excited! 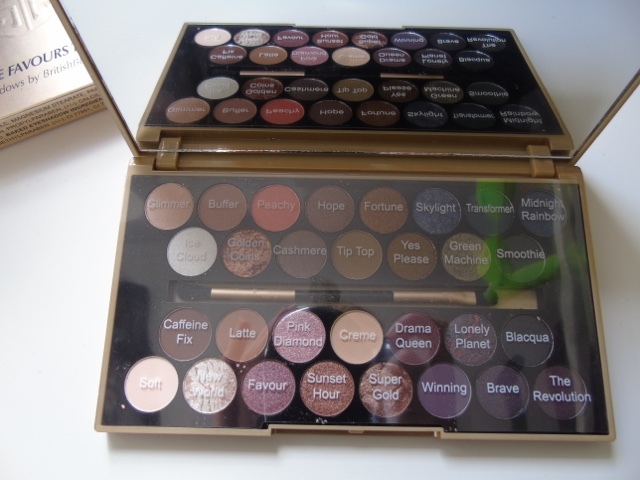 I think this was the most spoken about palette in the UK at the time - and to be honest, still is. 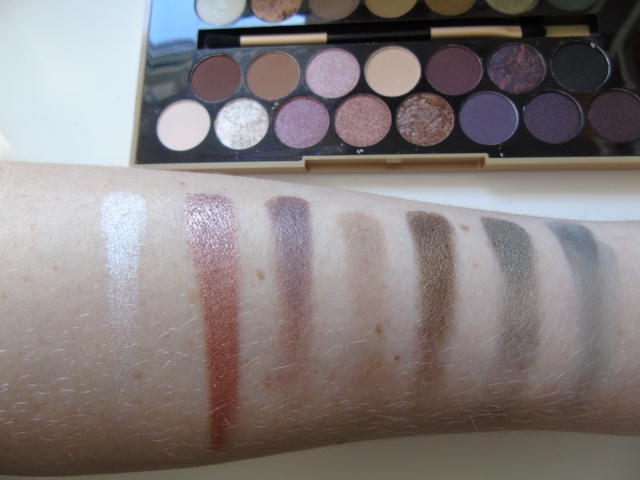 I was a bit late to join the bandwagon and have finally bought this palette back in April and have not yet had the chance to experiment with all colours however, I have swatched them for this review. 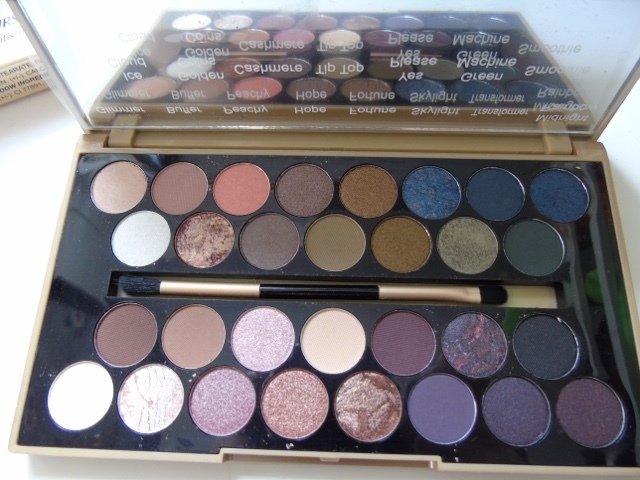 You can tell how sophisticated this palette is just by looking at the box. I mean, the colour of it - a gorgeous deep copper gold shade just wants to be bought to look at, let alone to use. 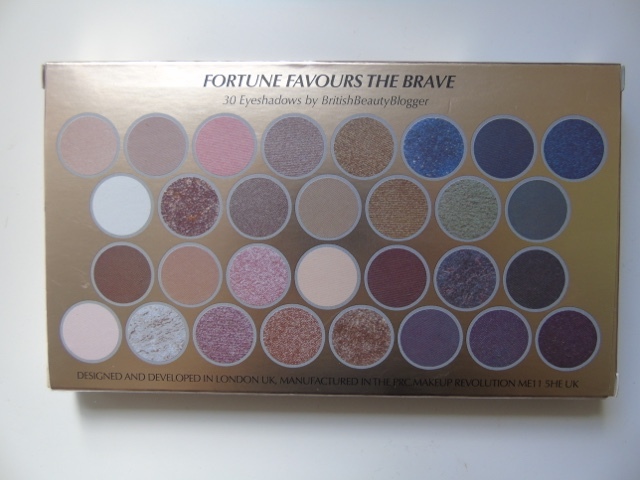 If you're unsure about the shades and somehow there isn't a tester available then just look at the back of the box. It has all the shades shown on the back of it so you know that you're about to spend little on something life-changing. Damnnn, just look at it! 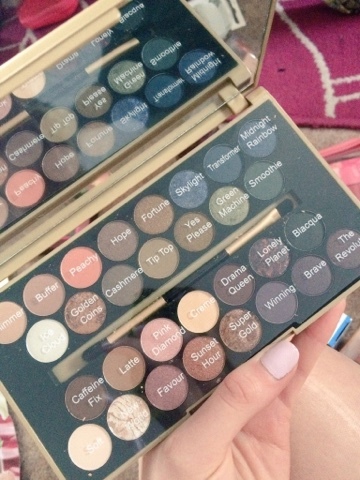 The packaging is perfect, the colours are perfect, even the names for each shade are perfect! 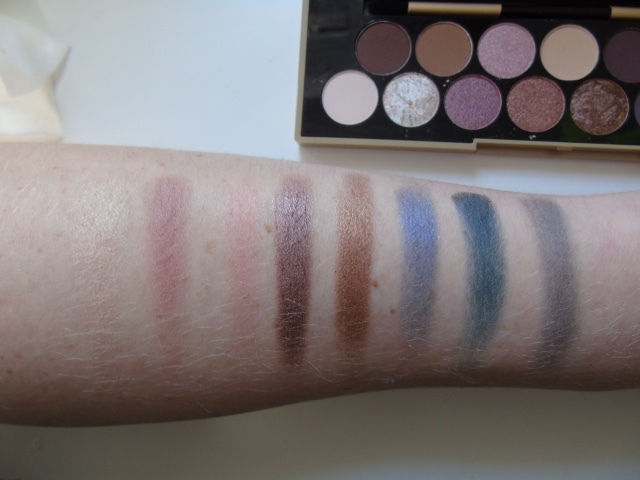 I have swatched all shades dry and directly onto my arm as I wanted to see their true pigment. Some show up really well, and some don't show up at all. However, when I tried them on using a damp brush all shades showed up perfectly and I couldn't be happier with the results. l-r: Glimmer, Buffer, Peachy, Hope, Fortune, Skylight, Transformer, Midnight Rainbow. l-r: Ice Cloud, Golden Coins, Cashmere, Tip Top, Yes Please, Green Machine, Smoothie. l-r: Caffeine Fix, Latte, Pink Diamond, Creme, Drama Queen, Lonely Planet, Blacqua. l-r: Soft, New World, Favour, Sunset Hour, Super Gold, Winning, Brave, The Revolution. 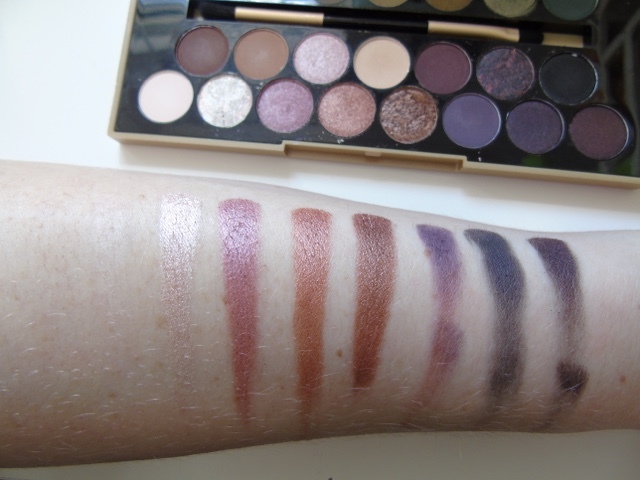 I found that the majority of the matte shades were less pigmented than the ones with other finishes however, I'm still glad I had bought this palette. 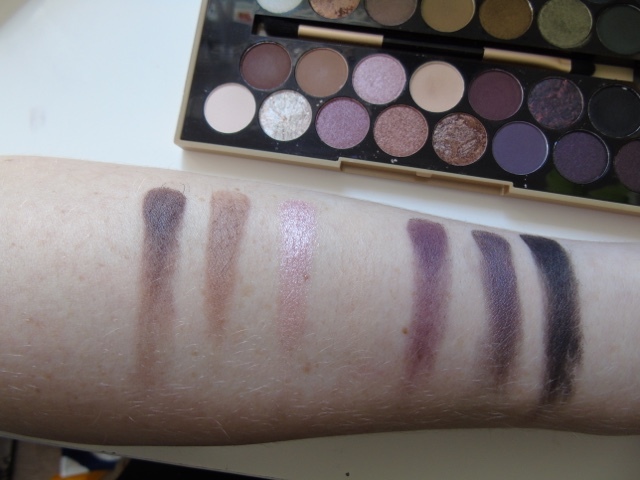 I mean, the shades will create so many beautiful looks, especially in winter but I am slightly disappointed with the formula. There seems to be a lot of fallout after dipping the brush in, but what did I expect for £10? 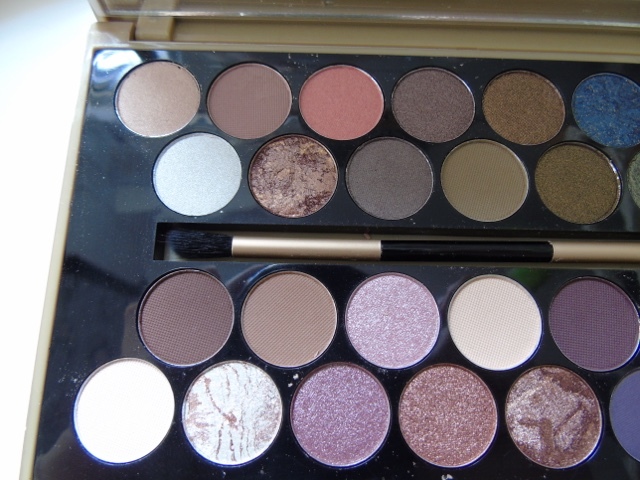 Overall, I think this palette is amazing and totally worth every penny spent on it. 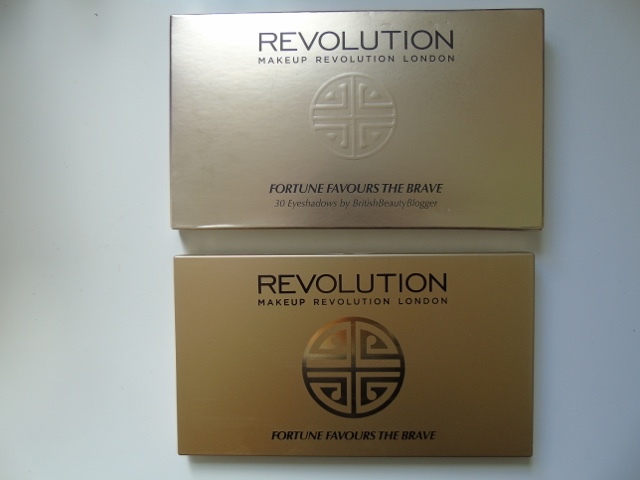 Congratulations to Makeup Revolution for yet again, surprising us all with an amazing product. Keep it going guys! 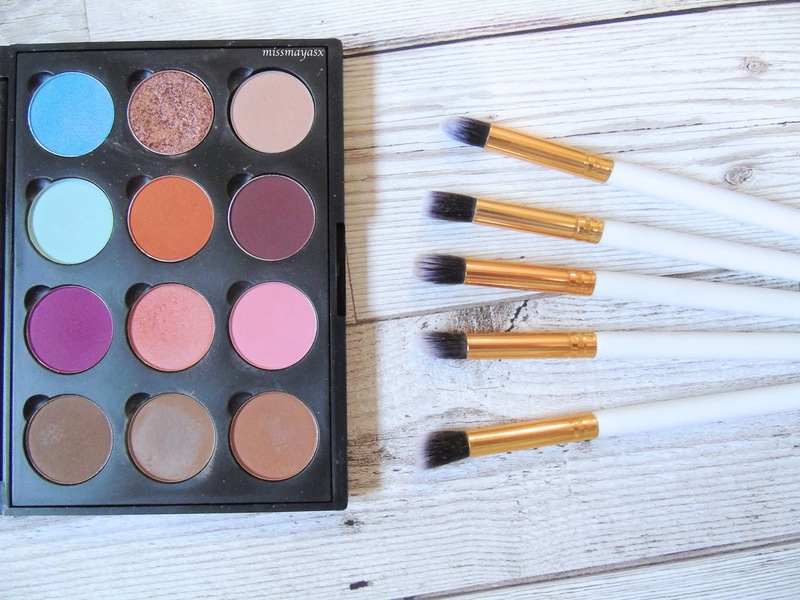 What are your thoughts on this palette? 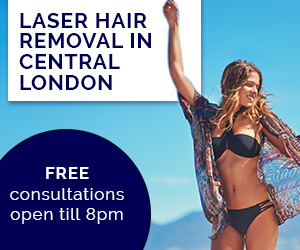 Have you tried creating any looks with it? 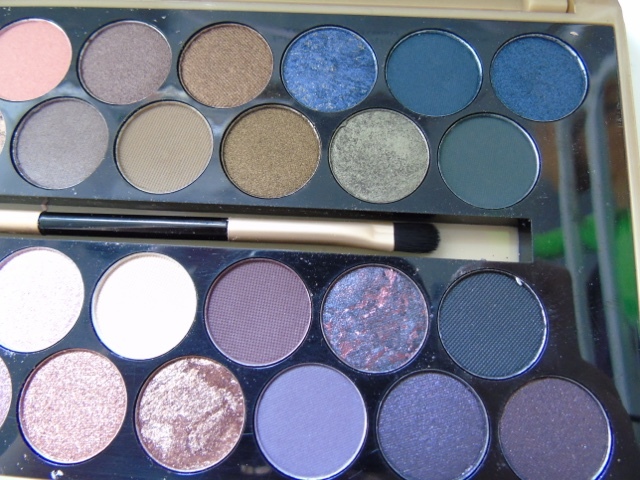 For the price I think Makeup Revolution eyeshadow is very good however I do think the shimmers are much nicer than mattes too.